A number of our members have been in the Kearney Hub recently. Mary Kolstad and some of our children were featured in a story about the Spanish classes Mary taught this summer as a way of raising support for Water4Haiti. 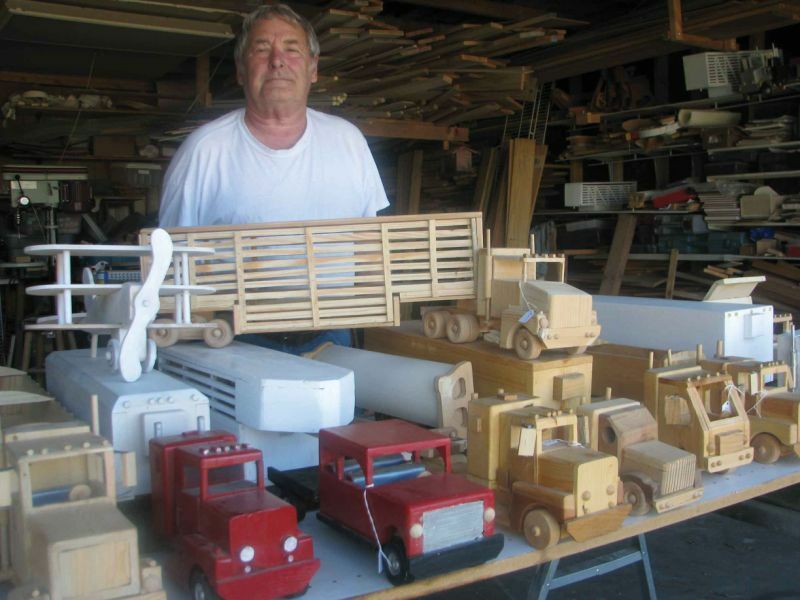 There was also an article on Don Bates and the wooden vehicles he makes in his spare time. It’s good to see God’s people using their gifts to enrich the lives of their neighbors and their brothers and sisters around the world. Don Bates shows off some of his handiwork. Our current sermon series is entitled Follow Me: The Gospel According to St. Matthew. In his eyewitness account, Matthew writes mainly for the Jewish people of his day. He presents Jesus as the fulfillment of the Hebrew Scriptures and the answer to every promise that God has made to his people. Jesus makes it clear that he is leaving the old world and beginning a new one. To all who would come with him he says: “Follow me.” There is great reward in this new world, but there will be much opposition in getting there. Jesus calls his disciples to walk that road with him and he promises to be with them always. As we apply this truth to our own lives, we too will find that Jesus is everything for which we’ve waited. Because of this, we will respond to his call, even when it costs us, so that we can enjoy life with him in his Kingdom, both now and forever.